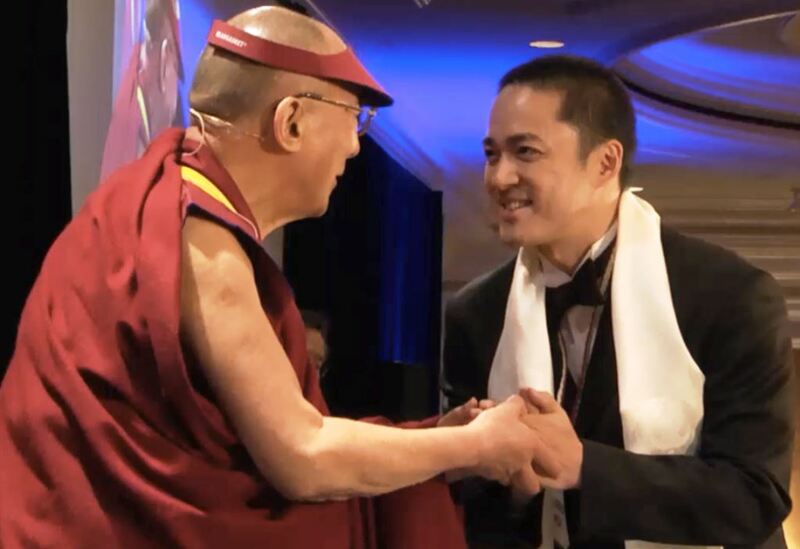 Congratulations to husband-and-wife EWC alumni team Tomohiro and Asuka Hirabe Hamakawa, who both recently received Unsung Heroes of Compassion 2014 awards from His Holiness the Dalai Lama for their dedicated volunteer work. At an event in San Francisco in February, the Dalai Lama personally recognized 51 individuals from around the world who help those in need without expectation of reward. Asia Pacific Leadership Program alum Tomo, who holds a master’s degree in public policy from Harvard, helps raise funds for the preservation of Tibetan culture through documentary film and photography and is a staff member at Kopernik, an Indonesian nonprofit that brings simple, innovative technologies to rural areas. 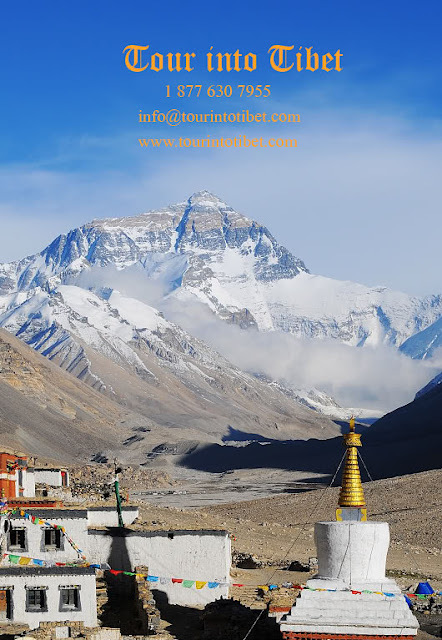 He also served four years as a full-time staff with the Children’s Investment Fund Foundation, which subsidizes low-cost and high-impact interventions that save children’s lives. Asuka, or “Aska,” a former EWC affiliate degree student in Pacific islands studies, has known since she was a teenager donating to UNICEF that she wanted to devote her life to helping those in need. In 2009, she assisted with relief and reconstruction for victims of an earthquake and tsunami in Samoa, and she helped head relief efforts in the fishing village of Ishinomaki after the March 2011 earthquake and tsunami in Japan. Currently, she serves as vice president of Tuvalu Overview, a NGO that promotes research and awareness of climate change in the island nation of Tuvalu. 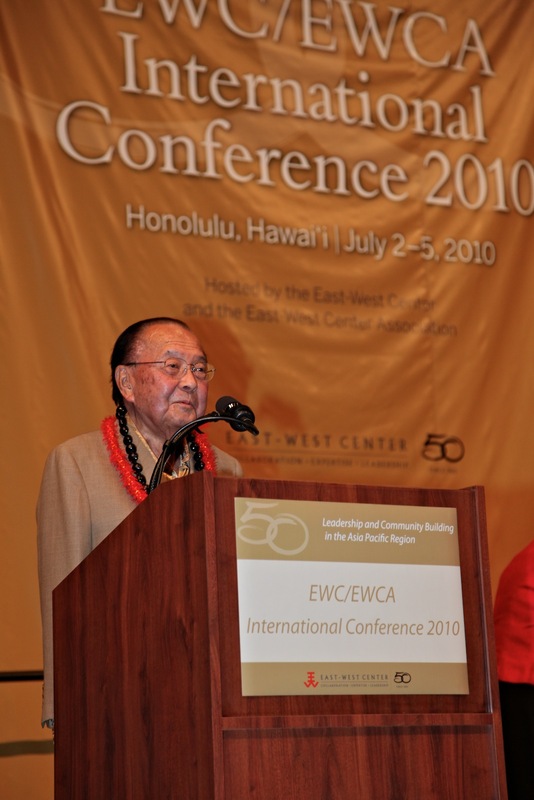 United States Senator Daniel K. Inouye, World War II veteran, Medal of Honor recipient and Hawaii’s senior Senator, passed away from respiratory complications on December 17th at the Walter Reed National Military Medical Center. He passed away peacefully with his wife and son beside him.